Yuta, according to Taraka, seems to be born to become the King of the Chaos clan. However, at some point he was given to his father Garuda and his siblings (Maruna and Kalavinka), with whom he lived for some time. At some point, before Garuda fell in a coma, he was given to Shuri to be educated on the way of a king and on how to control his urges, which made him hunger after his own people. Initially, the other Suras were not happy with his presence among them and wanted to kill him, but Shuri's patient teachings formed and reinforced his self-control. 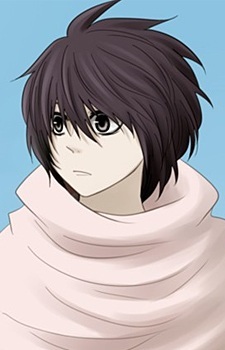 Looking for a way to reunite with his siblings, Yuta met Leez and Asha on their way towards Mistyshore. He was helping a Half escape from hunters, and was stopped by Asha's and Leez's arrival at the scene just before he attacked the hunters for hurting the Half girl. Asha was initially suspicious of his nature and intentions, to the point of believing he was an inferior Sura of the Garuda clan, and thus threatening him in case he wanted to hurt her or Leez. After discovering the truth, however, Asha accepted his help in reaching Kalibloom, their common goal. It was Leez who gave him his name, after discovering he didn't have one. Leez stayed overnight thinking of a series of names, until she read the name 'Yuta' from the list she had written. The boy was so happy with this name that he immediately accepted it.